New federal bills aim to remove state-legal marijuana and industrial hemp from the purview of the Controlled Substances Act, Jeff Sessions' drug war is slow getting off the ground, an Indian minister comes out for medical marijuana, and more. Federal Bill to Make CSA Inapplicable to Marijuana in Legal Marijuana States Filed. US Rep. Suzan DelBene (D-WA) filed House Resolution 3534 on Friday. The bill would "make the Controlled Substances Act inapplicable with respect to marijuana in states that have legalized marijuana and have in effect a statewide regulatory regime to protect certain Federal interests." Federal Bill to Exempt Hemp from CSA Filed. Rep. James Comer (R-KY) filed House Resolution 3530 on Friday. The bill would "amend the Controlled Substances Act to exclude industrial hemp from the definition of marihuana." Attorney General Sessions' Drug War Hasn't Taken Hold -- Yet. The attorney general has vowed to crack down on drugs, but data released last week show it isn't happening yet. Federal drug prosecutions are at historic lows, with experts pointing to a federal hiring freeze instituted by the Trump administration and the Senate's slow pace on appointing new US attorneys as potential causes. Without having key people in key positions, the Sessions Justice Department must rely on local investigators and prosecutors who may still be operating under Obama-era reforms. Indian Minister Calls for Medical Marijuana Legalization. Indian Minister for Women and Child Development Maneka Gandhi has come out in favor of legalizing medical marijuana. "Marijuana should be legalized for medical purposes, especially as it serves a purpose in [treating] cancer," she said during a ministerial discussion on India's National Drug Demand Reduction. Although cannabis has been part of Indian culture for more than 3,000 years, the country banned it in 1985 under US pressure. British Festival Allowed Pill Testing. Attendees at the Kendal Calling music festival in Cumbria this past weekend were able to get their pills and powders tested for potency and adulteration without fear of arrest thanks to an on-site lab operated by an NGO. 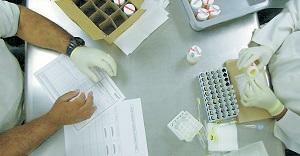 Testers reported finding malaria medication, insecticide and concrete in some of the substances tested. "We accept that some people will get drugs on site and some people will be planning to take them so what we're doing is trying to address any potential health problems," said Professor Fiona Measham, director of the NGO The Loop. "This is a focus on public health rather than on criminal justice." Drugs, mainly opioids, are killing Americans at a record rate. The number of drug overdose deaths in the country quadrupled between 1999 and 2010 -- and compared to the numbers we're seeing now, those were the good old days. 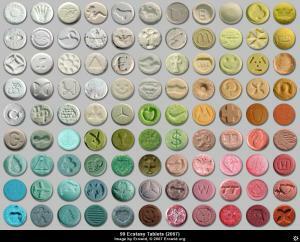 Some 30,000 people died of drug overdoses in 2010. According to a new estimate from the New York Times, double that number died last year. And the rate of increase in overdose deaths was growing, up a stunning 19% over 2015. The Times' estimate of between 59,000 and 65,000 drug overdose deaths last year is greater than the number of American soldiers killed during the entire Vietnam War, greater than that number of people killed in the peak year for car crash deaths, greater than the number of people who died in the year the AIDS epidemic peaked, and higher than the peak year for gun deaths. 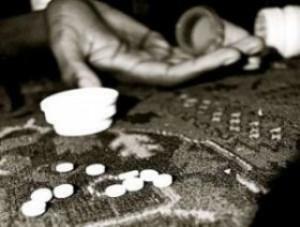 In the first decade of the century, overdoses and addiction rose in conjunction with a dramatic increase in prescription opioid prescribing; since then, as government agents and medical professionals alike sought to tamp down prescribing of opioids, the overdose wave has continued, now with most opioid OD fatalities linked to illicit heroin and powerful black market synthetic opioids, such as fentanyl and carfentanil. The Centers for Disease Control and Prevention says we are in the midst of "the worst drug overdose epidemic in history," and it's hard to argue with that. So, what do we do about it? Despite decades of failure and unintended consequences, the prohibitionist reflex is still strong. Calls for more punitive laws, tougher prosecutorial stances, and harsher sentences ring out from state houses across the land to the White House. But tough drug war policies haven't worked. The fact that the overdose and addiction epidemic is taking place under a prohibition regime should make that self-evident. More enlightened -- and effective -- approaches are now being tried, in part, no doubt, because today's opioid epidemic is disproportionately affecting white, middle class people and not the inner city black people identified with heroin epidemics of the past. But they are also being tried because for the past quarter-century an ever-growing drug reform movement has articulated the failures of prohibition and illuminated more effective alternatives. The drug reform movement's most powerful organization, the Drug Policy Alliance, this spring published A Public Health and Safety Approach to Problematic Opioid Use and Overdose, which lays out more than two dozen specific policy prescriptions in the realms of addiction treatment, harm reduction, prevention, and criminal justice that have been proven to save lives and reduce dependency on opioids. These policy prescriptions are doable now -- and some are being implemented in some fashion in some places -- but require that political decisions be made, or that forces be mobilized to get those decisions made. Some would require a radical divergence from the orthodoxies of drug prohibition, but that's a small price to pay given the mounting death toll. 1. Create Expert Panel on Treatment Needs: States should establish an expert panel to address effective treatment needs and opportunities. The expert panel should evaluate barriers to existing treatment options and make recommendations to the state legislature on removing unnecessary impediments to accessing effective treatment on demand. Moreover, the panel should determine where gaps in treatment exist and make recommendations to provide additional types of effective treatment and increased access points to treatment (such as hospital-based on demand addiction treatment). The expert panel must also set evidence-based standards of care and identify the essential components of effective treatment and recovery services to be included in licensed facilities, especially with regards to medication-assisted treatment, admission requirements, discharge, continuity of care and/or after-care, pain management, treatment programming, integration of medical and mental health services, and provision of or referrals to harm reduction services. The expert panel should identify how to improve or create referral mechanisms and treatment linkages across various healthcare and other providers. The panel should establish clear outcome measures and a system for evaluating how well providers meet the scientific requirements the panel sets. And, finally, the expert panel should evaluate opportunities under the ACA to expand coverage for treatment. 2. Increase Insurance Coverage for Medication-Assited Treatment (MAT): Seventeen state medical plans under the Patient Protection and Affordable Care Act (ACA) do not provide coverage for methadone or buprenorphine for opioid dependence. Moreover, the Veterans Administration's (VA's) insurance system has explicitly prohibited coverage of methadone and buprenorphine treatment for active duty personnel or for veterans in the process of transitioning from Department of Defense care. As a result, veterans obtaining care through the VA are denied effective treatment for opioid dependence. Insurance coverage for these critical medications should be standard practice. 3. Establish and Implement Office-Based Opioid Treatment for Methadone: Currently, with a few exceptions, methadone for the treatment of opioid dependence is only available through a highly regulated and widely stigmatized system of Opioid Treatment Programs (OTPs). Moreover, several states have imposed moratoriums on establishing new OTPs that facilitate methadone treatment despite large, unmet treatment needs for a growing opioid-dependent population. Patients enrolled in methadone treatment in many communities are often limited to visiting a single OTP and face other inconveniences that make adherence to treatment more difficult. Initial trials have suggested that methadone can be effectively delivered in office-based settings and that, with training, physicians would be willing to prescribe methadone to their patients to treat their opioid dependence. Office-based methadone may help reduce the stigma associated with methadone delivered in OTPs as well as provide a critical window of intervention to address medical and psychiatric conditions. Office-based opioid treatment programs offering methadone have been implemented in California, Connecticut, and Vermont. 4. Provide MAT in Criminal Justice Settings, Including Jails/Prisons and Drug Courts: Individuals recently released from correctional settings are up to 130 times more likely to die of an overdose than the general population, particularly in the immediate two weeks after release. Given that approximately one quarter of people incarcerated in jails and prisons are opioid-dependent, initiating MAT behind bars should be a widespread, standard practice as a part of a comprehensive plan to reduce risk of opioid fatality. Jails should be mandated to continue MAT for those who received it in the community and to assess and initiate new patients in treatment. Prisons should initiate methadone or buprenorphine prior to release, with a referral to a community-based clinic or provider upon release. In addition, drug courts should be mandated to offer participants the option to participate in MAT if they are not already enrolled, make arrangements for their treatment, and should not be permitted to make discontinuation of MAT a criterion for successful completion of drug court programs. The Substance Abuse and Mental Health Services Administration will no longer provide federal funding to drug courts that deny the use of MAT when made available to the client under the care of a physician and pursuant to a valid prescription. The National Association of Drug Court Professionals agrees: "No drug court should prohibit the use of MAT for participants deemed appropriate and in need of an addiction medication." Medication-Assisted Treatment (MAT) can help. 5. Offer Hospital-Based MAT: Emergency departments should be mandated to inform patients about MAT and offer buprenorphine to those patients that visit emergency rooms and have an underlying opioid use disorder, with an appointment for continued treatment with physicians in the community. Hospitals should also offer MAT within the inpatient setting, and start MAT prior to discharge with community referrals for ongoing MAT. 6. Assess Barriers to Accessing MAT to Increase Access to Methadone and Buprenorphine: A number of known barriers prevent MAT from being as widely accessible as it should be. The federal government needs to reevaluate the need for and effectiveness of the OTP model and make necessary modifications to ensure improved and increased access to methadone. 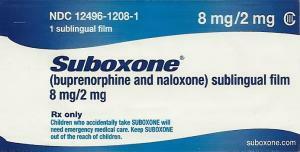 And, while federal law allows physicians to become eligible to prescribe buprenorphine for the treatment of opioid dependence, it arbitrarily caps the number of opioid patients a physician can treat with buprenorphine at any one time to 30 through the first year following certification, expandable to up to potentially 200 patients thereafter. Moreover, states need to evaluate additional barriers created by state law, including, among others, training and continuing education requirements, restrictions on nurse practitioners, insurance enrollment and reimbursement, and lack of provider incentives. 7. Establish and Implement a Heroin-Assisted Treatment Pilot Program: Heroin-assisted treatment (HAT) refers to the administering or dispensing of pharmaceutical-grade heroin to a small and previously unresponsive group of chronic heroin users under the supervision of a doctor in a specialized clinic. The heroin is required to be consumed on-site, under the watchful eye of trained professionals. This enables providers to ensure that the drug is not diverted, and allows staff to intervene in the event of overdose or other adverse reaction. Permanent HAT programs have been established in the United Kingdom, Switzerland, the Netherlands, Germany and Denmark, with additional trial programs having been completed or currently taking place in Spain, Belgium and Canada. Findings from randomized controlled studies in these countries have yielded unanimously positive results, including: 1) HAT reduces drug use; 2) retention rates in HAT surpass those of conventional treatment; 3) HAT can be a stepping stone to other treatments and even abstinence; 4) HAT improves health, social functioning, and quality of life; 5) HAT does not pose nuisance or other neighborhood concerns; 6) HAT reduces crime; 7) HAT can reduce the black market for heroin; and, 8) HAT is cost-effective (cost-savings from the benefits attributable to the program far outweigh the cost of program operation over the long-run). States should consider permitting the establishment and implementation of a HAT pilot program. Nevada and Maryland have introduced legislation of this nature and the New Mexico Legislature recently convened a joint committee hearing to query experts about this strategy. 8. Evaluate the Use of Cannabis to Decrease Reliance on Prescription Opioids and Reduce Opioid Overdose Deaths: Medical use of marijuana can be an effective adjunct to or substitute for opioids in the treatment of chronic pain. Research published last year found 80 percent of medical cannabis users reported substituting cannabis for prescribed medications, particularly among patients with pain-related conditions. Another important recent study reported that cannabis treatment "may allow for opioid treatment at lower doses with fewer [patient] side effects." The result of substituting marijuana, a drug with less side effects and potential for abuse, has had profound harm reduction impacts. The Journal of the American Medical Association, for instance, documents a relationship between medical marijuana laws and a significant reduction in opioid overdose fatalities: "[s]tates with medical cannabis laws had a 24.8% lower mean annual opioid overdose mortality rate compared with states without medical cannabis laws. "Another working paper from the RAND BING Center for Health Economics notes that "states permitting medical cannabis dispensaries experienced a 15 to 35 percent decrease in substance abuse admissions and opiate overdose deaths." There is also some emerging evidence that marijuana has the potential to treat opioid addiction, but additional research is needed. 9. Establish and Implement Safe Drug Consumption Services: States and/or municipalities should permit the establishment and implementation of safe drug consumption services through local health departments and/or community-based organizations. California and Maryland have introduced legislation to establish safe drug consumption services, and the City of Ithaca, New York has included a proposal for a supervised injection site in their widely-publicized municipal drug strategy. In Washington State, the King County Heroin an Prescription Opiate Addiction Task Force has recommended the establishment of at least two pilot supervised consumption sites as part of a community health engagement program designed to reduce stigma and "decrease risks associated with substance use disorder and promote improved health outcomes" in the region that includes the cities of Seattle, Renton and Auburn. 10. Maximize Naloxone Access Points, Including Lay Distribution and Pharmacy Access, As Well As Immunities for Prescription, Distribution and Administration:Naloxone should be available directly from a physician to either a patient or to a family member, friend, or other person in a position to assist in an overdose, from community-based organizations through lay distribution or standing order laws, and from pharmacies behind-the-counter without a prescription through standing order, collaborative agreement, or standardized protocol laws or regulations. Though some states, including California, New York, Colorado and Vermont, among others, have access to naloxone at each of these critical intervention points, many others only provide naloxone through a standard prescription. Civil and criminal immunities should be provided to prescribers, dispensers and lay administrators at every access point. In addition, all first responders, firefighters and law enforcement should be trained on how to recognize an overdose and be permitted to carry and use naloxone. 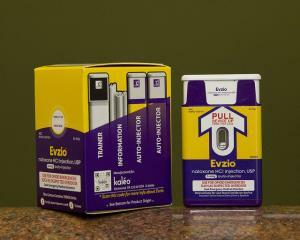 Naloxone should also be reclassified as an over-the-counter (OTC) medication. Having naloxone available over-the-counter would greatly increase the ability of parents, caregivers, and other bystanders to intervene and provide first aid to a person experiencing an opioid overdose. FDA approval of OTC naloxone is predicated on research that satisfies efficacy and safety data requirements. Pharmaceutical companies, however, have not sought to develop an over-the-counter product.88 Federal funding may be needed to meet FDA approval requirements. 11. Provide Dedicated Funding for Community-Based Naloxone Distribution and Overdose Prevention and Response Education: Few states provide dedicated budget lines to support the cost of naloxone or staffing for community-based opioid overdose prevention programs. The CDC, however, reports that, between 1996 and 2014, these programs trained and equipped more than 152,280 laypeople with naloxone, who have successfully reversed 26,463 opioid overdoses.89 Without additional and dedicated funding, community-based opioid overdose prevention programs will not be able to continue to provide naloxone to all those who need it, and the likelihood of new programs being implemented is slim. A major barrier to naloxone access is its affordability and chronic shortages in market supply, 90 which overdose prevention programs, operating on shoestring budgets, can have a difficult time navigating. 12. Improve Insurance Coverage for Naloxone: Individuals who use heroin and other opioids are often both uninsured and marginalized by the healthcare system.91 States should insure optimal reimbursement rates for naloxone to increase access to those who need it most – users themselves. 13. Provide Naloxone to Additional At-Risk Communities: People exiting detox and other treatment programs as well as periods of incarceration are at particularly high risk for overdose because their tolerance has been substantially decreased. After their period of abstinence, if they relapse and use the same amount, the result is often a deadly overdose. States should require overdose education and offer naloxone to people upon discharge from detox and other drug treatment programs and jails/prisons. The Substance Abuse and Mental Health Services Administration has declared that prescribing or dispensing naloxone is an essential complement to both detoxification services as well as medically supervised withdrawal. Vermont passed legislation making naloxone available to eligible pilot project participants who are transitioning from incarceration back to the community. In addition, there are other programs/studies that provide naloxone to recently released individuals on a limited basis, including in San Francisco, California, King County, Washington and Rhode Island. 14. Encourage Distribution of Naloxone to Patients Receiving Opioids: Physicians should be encouraged to prescribe naloxone to their patients and opioid treatment programs should inform their clients about naloxone, if prescribing or dispensing an opioid to them. Pharmacists should similarly be encouraged to offer naloxone along with all Schedule II opioid prescriptions being filled, for syringe purchases (without concurrent injectable medication), and for all co-prescriptions (within 30 days) of a benzodiazepine (such as Valium™, Xanax™ or Klonopin™) and any opioid medication. The Rhode Island Governor's Overdose Prevention and Intervention Task Force found that offering naloxone to those prescribed a Schedule II opioid or when co-prescribed a benzodiazepine and any opioid would have reached 86% of overdose victims who received a prescription from a pharmacy prior to their death, and could have prevented 58% of all overdose deaths from 2014 to 2015. 15. Expand Good Samaritan Protections: "Good Samaritan" laws provide limited immunity from prosecution for specified drug law violations for people who summon help at the scene of an overdose. But, protection from prosecution is not enough to ensure that people are not too frightened to seek medical help. Other consequences, like arrest, parole or probation violations, and immigration consequences, can be equal barriers to calling 911. States with Good Samaritan laws already on the books should evaluate the protections provided and determine whether expansion of those protections would increase the likelihood that people seek medical assistance. 16. End the Criminalization of Syringe Possession: Syringes should be exempt from state paraphernalia laws in order to provide optimal access to people who inject drugs. Twenty-two states criminalize syringe possession. Thus, even if there is a legal access point, such as pharmacy sales, paraphernalia laws still permit law enforcement to arrest and prosecute individuals in possession of a syringe. Public health and law enforcement authorities should not be working at cross-purposes. 17. Reduce Barriers to Over-The-Counter Syringe Sales and Permit Direct Prescriptions of Syringes: While the non-prescription, over-the-counter sale of syringes is now permitted in all but one U.S. state, access is still unduly restricted.States should evaluate the potential barriers to accessing syringes over-thecounter and implement measures to improve access. Moreover, doctors should be permitted to prescribe syringes directly to their patients, a practice few states currently permit. 18. Authorize and Fund Sterile Syringe Access and Exchange Programs; Increase Programs: States should explicitly authorize and fund sterile syringe access and exchange programs, and states that have already authorized them should evaluate how to increase the number or capacity of programs to ensure all state residents – whether in urban centers or rural communities -- have access to clean syringes, as well as evaluate any possible barriers to access such as unnecessary age restrictions. 19. Provide Free Public, Community-Level Access to Drug Checking Services: Technology exists to test heroin and opioid products for adulterants via GC/MS analysis, but it has so far been unavailable at a public level in the US (aside from a mail-in service run by Ecstasydata.org). Making these services available in the context of a community outreach service or academic study would lower the number of deaths and hospitalizations and also allow for real-time tracking of local drug trends. 20. Establish Expert Panel on Opioid Prescribing: Though the CDC has issued guidelines for prescribing opioids for chronic pain, the guidelines are voluntary and are likely to exacerbate disparities in treatment that already exist. Research has shown, for example, that African Americans are less likely than whites to receive opioids for pain even when being treated for the same conditions. Moreover, the CDC guidelines only address prescribing practices for chronic pain, not prescribing practices more broadly. States should accordingly establish an expert panel to undertake an assessment as to whether prescribing practices, such as co-prescriptions for benzodiazepines and opioids or overprescribing of opioids, have contributed to increased rates of opioid dependence, and, if so, the expert panel should develop a plan to address any such linkages as well as any treatment disparities. The plan must account for the potential negative effects of curtailing prescribing practices or swiftly reducing prescription opioid prescribing volume. A task force in Rhode Island found that while changes in opioid supply can have the intended effect of reducing availability of abuse-able medications, they have also been linked to an increase in transition to illicit drug use and in more risky drug use behaviors (e.g., snorting and injecting pain medications). The plan must also account for chronic pain patients, particularly those already underserviced, and not unduly limit their access to necessary medications. Finally, to the extent prescribing guidelines are issued as part of the plan, they should be mandatory and applied across the board. 21. Mandate Medical Provider Education: States should mandate that all health professional degree-granting institutions include curricula on opioid dependence, overdose prevention, medication-assisted treatment, and harm reduction interventions, and that continuing education on these topics be readily available. 22. Develop Comprehensive, Evidence-Based Health, Wellness, and Harm Reduction Curriculum for Youth: State education departments, in conjunction with an expert panel consisting of various stakeholders that ascribe to scientific principles of treatment for youth, should develop a comprehensive, evidence-based health, wellness, and harm reduction curriculum for use in schools that incorporates scientific education on drugs, continuum of use, and contributors to problematic drug use (e.g., coping and resiliency, mental health issues, adverse childhood experiences, traumatic events and crisis), as well as how reduce harm (e.g., not mixing opioids with benzodiazepines). Education departments should also establish protocols and resources for early intervention, counseling, linkage to care, harm reduction resources, and other supports for students. 23. Establish Diversion Programs, Including Law Enforcement Assisted Diversion (LEAD): LEAD is a pre-booking diversion program that establishes protocols by which police divert people away from the typical criminal justice route of arrest, charge and conviction into a health-based, harm-reduction focused intensive case management process wherein the individual receives support services ranging from housing and healthcare to drug treatment and mental health services. Municipalities should create and implement LEAD programs and states and the federal government should provide dedicated funding for such programs. Various other forms of diversion programs exist and can be implemented should LEAD prove unsuitable to a particular population or municipality. 24. Decriminalize Drug Possession: Decriminalization is commonly defined as the elimination of criminal penalties for drug possession for personal use. In other words, it means that people who merely use or possess small amounts of drugs are no longer arrested, jailed, prosecuted, imprisoned, put on probation or parole, or saddled with a criminal record. Nearly two dozen countries have taken steps toward decriminalization. Empirical evidence from the international experiences demonstrate that decriminalization does not result in increased use or crime, reduces incidences of HIV/AIDs and overdose, increases the number of people in treatment, and reduces social costs of drug misuse. All criminal penalties for possession of small amounts of controlled substances for personal use should be removed. In a major study, AAA finds no scientific basis for drugged driving laws that assume impairment based on THC levels, Orlando becomes the latest city to downgrade small-time pot possession, the Ohio House approves a medical marijuana bill--but no smoking--an English university begins handing out pill test kits to students, and more. AAA Study: No Scientific Basis for Laws Regulating Marijuana and Driving. A new study from the American Automobile Association's Safety Foundation has found that per se limits (those that base an assumption of impaired driving on a specified level of THC in one's system) are "arbitrary and unsupported by the evidence." Six states have per se marijuana impaired driving laws, while nine states have zero tolerance marijuana DUID laws, and the AAA calls for scrapping them. They should be replaced by police officers trained to detect impairment, with a THC test as a back-up, the automobile club said. Orlando "Decriminalizes" Pot Possession. The city council voted 4-3 Tuesday to adopt a revised measure that makes possession of 20 grams or less of weed a violation of city code. Police officers will have the discretion to issue civil citations instead of arresting violators. The fine is $100 for a first offense, $200 for a second, and a third offense will generate a mandatory court appearance. Small-time pot possession remains a misdemeanor under state law. Ohio House Approves Medical Marijuana Bill. The House voted 71-26 Tuesday to approve a medical marijuana bill, House Bill 523. Patients under a doctor's supervision could use marijuana oils, tinctures, edibles, and vapors, but could not smoke it, nor could they grow their own. The bill specifies 18 conditions for which medical marijuana could be used and now goes to the Senate. Meanwhile, activists are working to get a more patient-friendly medical marijuana initiative on the November ballot. Maryland Governor Signs Needle Access Expansion Bill. Gov. Larry Hogan (R) Tuesday signed into law Senate Bill 97, which will allow thousands of Marylanders to access life-saving needle exchange programs. The bill passed both chambers with overwhelming support. Maryland ranks 2nd nationally in new per capita HIV infections, and needle exchanges are a proven method of reducing and preventing new infections. 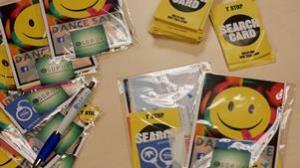 British University Handing Out Drug Test Kits to Students. In what as described as a first of its kind harm reduction effort, Newcastle University and the local Students for Sensible Drug Policy (SSDP) chapter have joined forces to distribute drug test kits so students can check and see if they drugs they are about to consume are safe or not. “Although drugs are illegal, statistics suggest lots of young people still use illegal drugs, and that the prevalence of this use is even higher within student communities," said SSDP President Holly Robinson. “We recognize the safest way to take drugs is not to take drugs but, as some individuals will always choose to take them, we believe it is important to make information and services available to minimise the risks." Major sentencing news today; early voting starts today in Ohio (marijuana legalization is on the ballot), a North Carolina hemp bill has gone to the governor, Colombia will still spray a nasty herbicide on coca crops, and more. California Governor Vetoes Law Criminalizing Hash Oil Explosions. Gov. Jerry Brown (D) Monday vetoed Assembly Bill 849, which would have made it a crime to cause an explosion causing bodily harm. 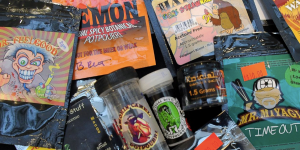 The bill was inspired by a series of butane hash oil lab explosions, but in his veto message, Brown said the conduct is already proscribed and another law on the matter "creates increasing complexity without commensurate benefit." Early Voting Starts Today on Ohio Legalization Initiative. Ohioans can vote for or against Issue 3, the controversial ResponsibleOhio initiative beginning today. Early voters can mail in absentee ballots or visit early-voting locations across the state. Oregon's Multnomah County (Portland) Issues Report on Legalization. The Multnomah County Health Department has issued a report saying there are drawbacks and benefits from marijuana legalization, but that more research is needed. 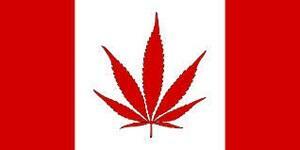 The report recommends implementing policies to address impaired driving, teen use, and dependence; there should be warnings for pregnant and nursing women, and there should be limits on the potency of pot, as well as on contamination from pesticides and other substances. Washington State Issues Emergency Medical Marijuana Rules. The state Health Department has just released emergency rules as the state moves to merge medical marijuana into the recreational pot regulatory system. The rules set standards for packaging "High THC compliant products," testing requirements, safe handling, employee training, and labeling. Click on the rules link for all the details. North Carolina Hemp Bill Heads to Governor's Desk. A measure legalizing industrial hemp production has been approved by the state legislature and now heads to the desk of Gov. Pat McCrory (R). The measure is Senate Bill 313. McCrory must veto it to block it; if he fails to act, it is approved. An Overdose an Hour in Chicago Last Week. In the middle of last week, Chicagoans were overdosing on heroin, prescription opiates, or drug combinations at a rate of more than one an hour. 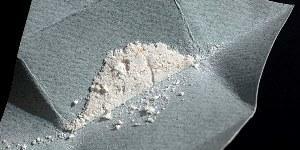 Authorities reported responding to 74 overdose calls in 72 hours between last Tuesday and last Friday. ER doctors are suggesting that heroin cut with the powerful opioid fentanyl is behind the outbreak. Feds to Free 6,000 Drug Prisoners at Month's End, More to Follow. The Justice Department has announced that some 6,000 federal drug war prisoners will get early release from prison between October 30 and November 2. Most will go to halfway houses and home confinement before being freed on supervised release. This is the result of actions by the US Sentencing Commission, which cut sentences for some drug offenders last year and later made the chance retroactive, affecting currently serving inmates. 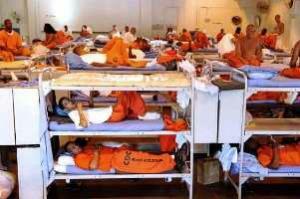 An estimated 46,000 of nearly 100,000 federal drug prisoners should eventually qualify for the program. Colombia Will Continue to Use Glyphosate, Just Won't Aerially Spray It Anymore. Colombian police will continue to use the herbicide glyphosate to eradicate coca plants, even though it won't apply it with aerial sprays, the chief of police said. The National Narcotics Council outlawed aerial spraying earlier this year, after glyphosate was found to contain massive amounts of carcinogens, but eradicators will now spray by hand, Police Chief Rodolfo Palomino said. "We will continue with other forms of manual eradication and land fumigation with glyphosate," said Palomino.